ZHONGHE, Taiwan - July 25, 2017 - PRLog -- Neousys Technology today launched Nuvo-6108GC, the world's first industrial-grade GPU computer integrating NVIDIA® GeForce® GTX 1080 or TITAN X and an Intel® Xeon® processor. In order to sustain high level GPU performance in industrial environments, Nuvo-6108GC features patented cold air intake design to effectively dissipate heat generated by the graphics card. 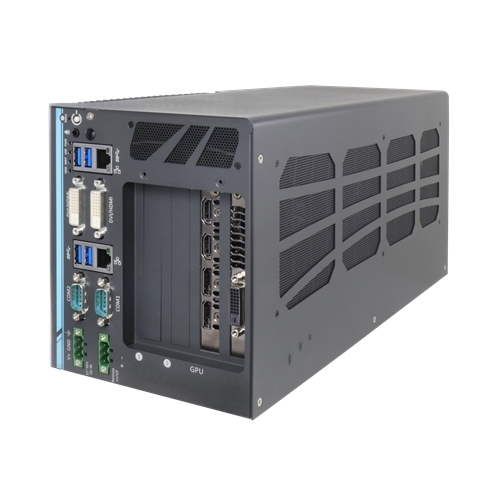 The unique design guarantees operation at 60℃ with 100% GPU loading and ensures Nuvo-6108GC's reliability for demanding field use. In addition, Nuvo-6108GC comes with patented shock/ vibration absorption mounting brackets to ensure the system's smooth operation under harsh environments. "GPU computing is a popular emerging technology and has been a hot topic in the last five years. Nuvo-6108GC is Neousys' response to advanced GPU-accelerated computing and is applicable to applications such as artificial intelligence, virtual reality, autonomous driving and CUDA computing." said Chris Ni, product director at Neousys Technology. For more Nuvo-6108GC information, please visit http://www.neousys-tech.com.